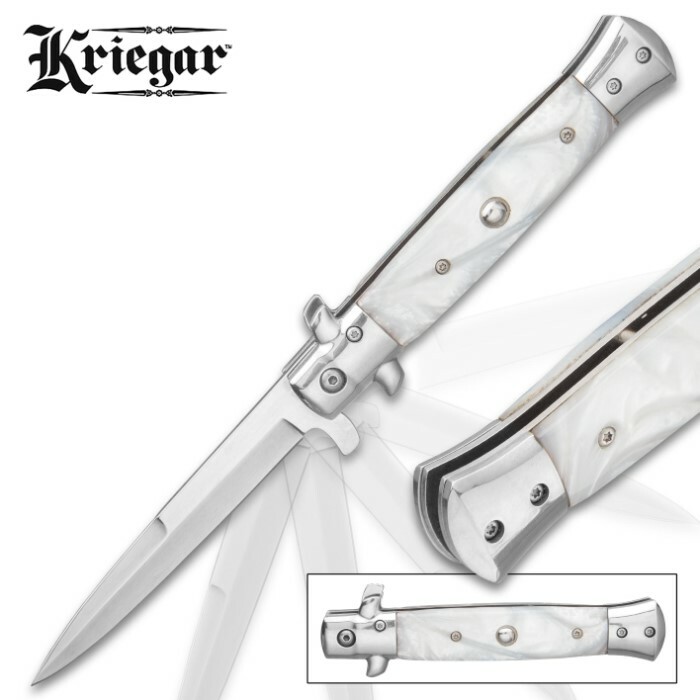 The German White Pearl Stiletto Knife from Kriegar is an elegant and sleek everyday carry stiletto knife that tackles daily tasks with no problem. 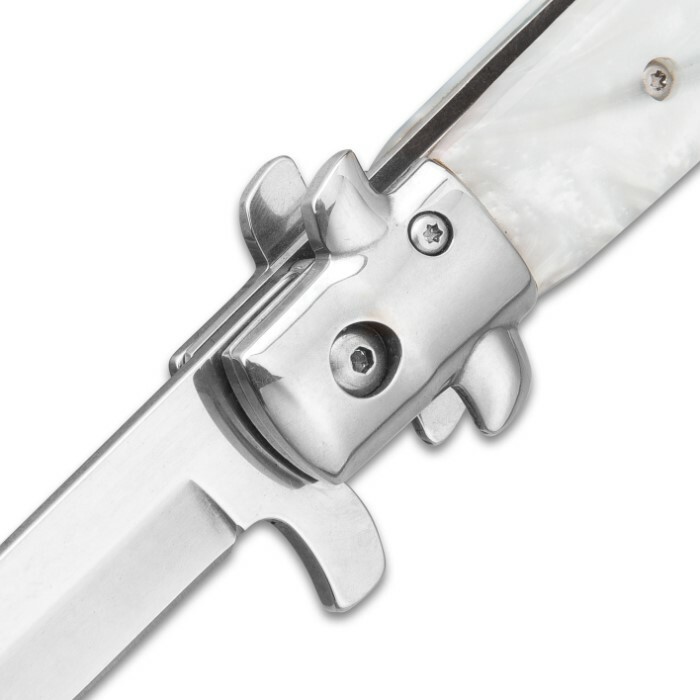 The razor-sharp 4” stainless steel blade has a polished finish and can be smoothly deployed with the assisted opening mechanism. 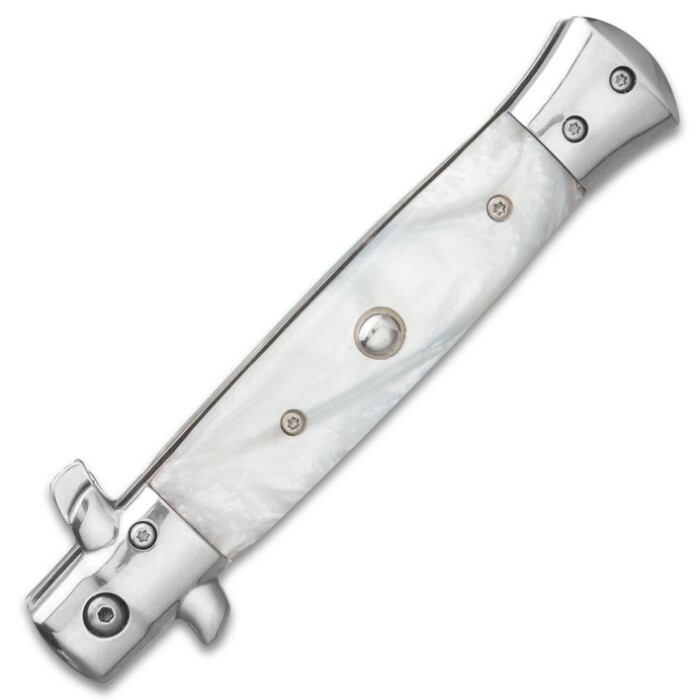 The handle has tightly secured, imitation pearl handle scales and features polished stainless steel bolsters and pins. If you’re looking for the right pocket knife for the job, look no further! Definitely a pretty knife. I got it for my lady and she's been able to get comfortable with it after a couple of practice sessions. The blade is quality, but there are some loosey-goosey parts about the grip and the frame that required some slight tightening with a hex-key. 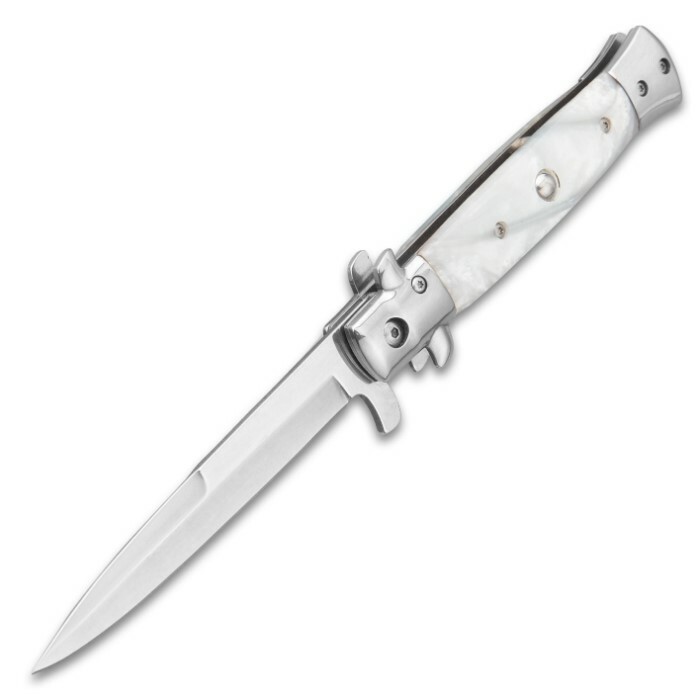 Great price for a functional little pocket knife. This stiletto is pretty sweet in person. Seems to be of decent quality, but time will tell. A little stiff right out of the box with the assisted opening. A little breaking in will help that! 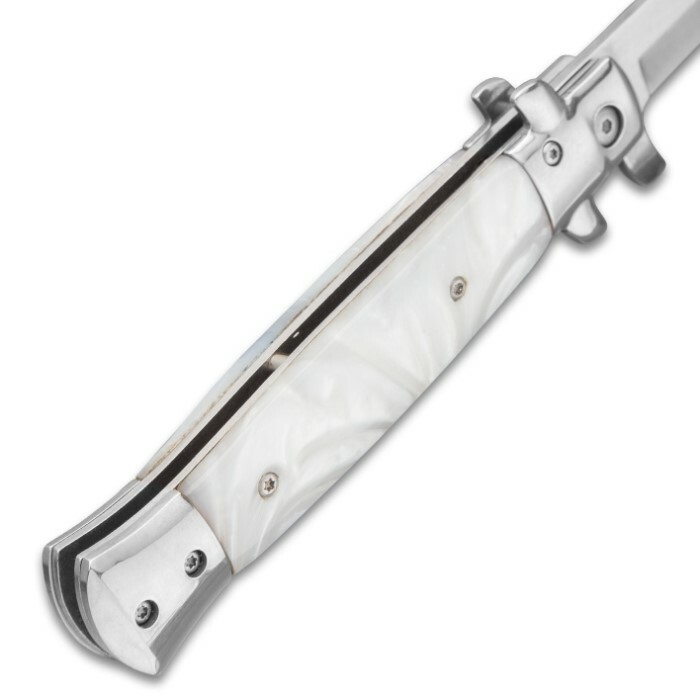 Quite sharp as well, given you take into consideration that this is a piercing/stabbing knife. Point is extremely sharp! Well worth what I paid.